HOT DEALS: Big savings on Panasonic TVs from Home Cinema Store | What Hi-Fi? There are major savings on a wide range of Panasonic TVs between December 26th-31st, and all those bought in the firm's Basildon or Romford stores will come with a free five-year warranty too. Discounts are available on 18 Panasonic models in the S10, G10, G15 and V10 ranges, from 19in to 50in screen sizes. 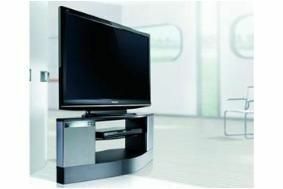 Some of the best deals include the Panasonic TX-P46G10 Full HD plasma, reduced from £1099.99 to £779.99, and the Freesat-equipped TX-P42G10 plasma, down from £949.99 to £699.99. The offers are in-store only and are not available online.